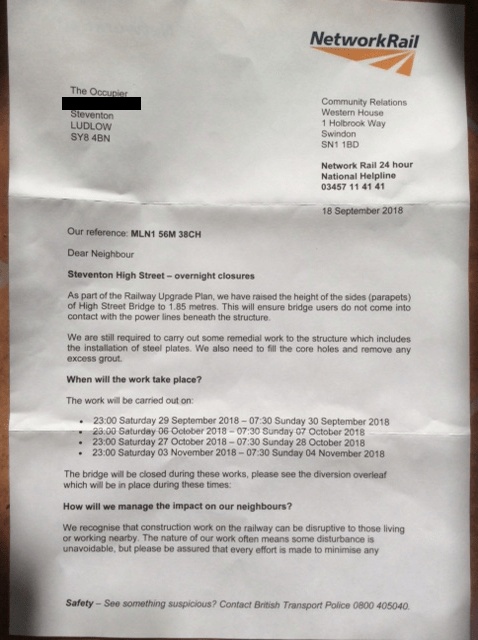 In what must be one of the most bizarre actions by an office bound railway official, Network Rail has written to residents in Steventon on the outskirts of Ludlow telling them that it needs to undertake work on parish’s railway bridge. So far, so good. But Ludford residents became suspicious when they read references to the High Street. A High Street in Steventon, a hamlet on the outskirts of Ludlow? Hardly. The postcode for our Steventon is right. The letter, signed by a Community Relations Executive, was written with authority. It came from Swindon, one of the great centres for the railway industry of old. It was sent from an address just beside the railway station. Alas! The Community Relations Executive had clearly never hopped on a train, or if he did he obviously never travelled as far as Shropshire. The Steventon he refers to is in Oxfordshire. It’s a large village I know well. I’ve stopped in a B&B there. I’ve sunk a few pints in the pub. I fought against a giant reservoir on its outskirts. I know the railway bridge on the High Street across the GWR well. Our modest bridge on Foldgate Lane in Steventon is no match for it or all the traffic it bears. We are much the better for that. I am concerned that the good residents of Steventon, Oxfordshire might not have been informed about these works. But I do wonder if it could this mistake open up a new adventure in train journeys. It could be a huge boost to tourism in our town! Previous Post An update on the Mortimer Forest Cabins – is the tide turning against this project? While they’re at can they put in a lift for the footbridge so that disabled can get access?? 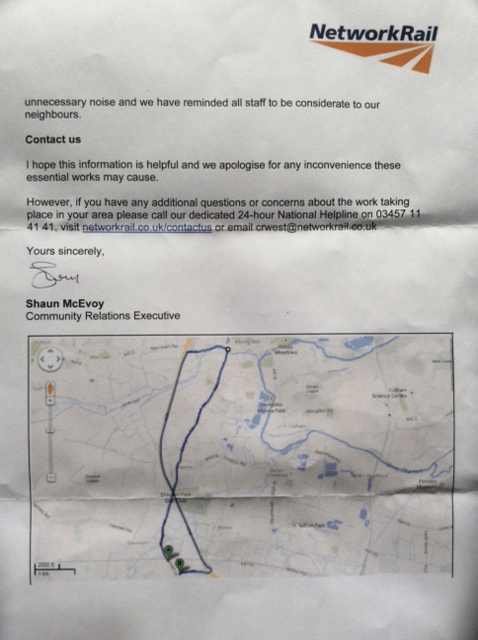 See something suspicious, contact British Transport Police !! !